When most of us were growing up, we learned about a handful of man-made wonders of the world such as the pyramids in Egypt, the Colosseum in Rome, and the Great Wall of China. 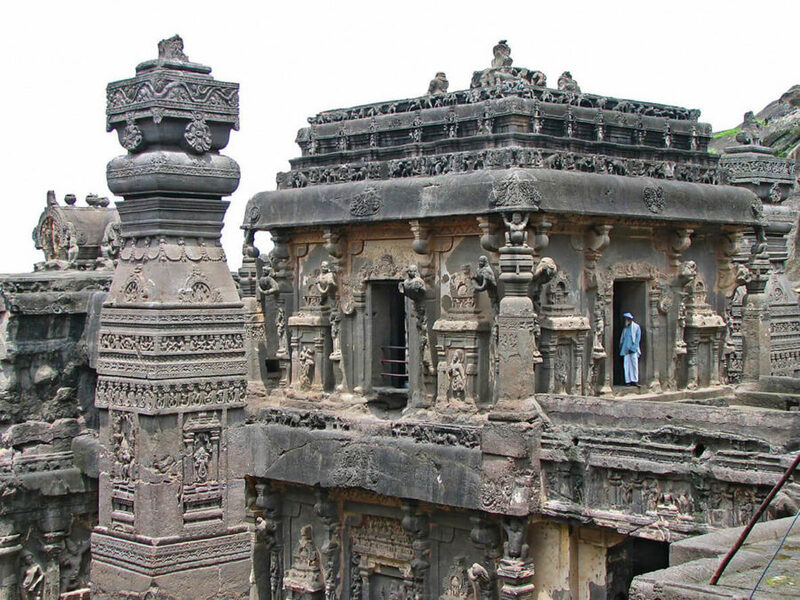 One that may have slipped right past you could have been the Kailasa Temple in Maharashtra, India. This temple is the world’s largest monolithic structure carved out of one single rock. The Temple has fascinated researchers and tourists for centuries. It is a breathtaking construction that points out that thousands of years ago, ancient cultures were far more advanced than what mainstream scholars are crediting them for. Everyone is trying to understand how the temple was built, cut out of the rocks, without the use of ‘modern’ technology. Dedicated to Hindu Lord Shiva, the temple was built in 8th century by the Rashtrakuta king Krishna I. But looking closely at the many symbols and codes at the Kailasa Temple, their origin point to an unknown past, though the sculptures of the deities, celestials, pillars, pots and animals seem to have been done in around the fifth and tenth centuries AD. Many researchers believe that the builders of the Kailasa temple used a vertical excavation method in order to achieve what they did. They started at the top of the original boulders and worked their way downward carving out one of the most fascinating ancient temple complexes on the planet. But how did they do it? What did the ancient builders of the Ellora caves use to excavate and build? Mainstream scholars indicate that the caves were built with the use of hammers, chisels, and picks, thousands of years ago. The construction of the temple began in 757 CE and was completed in 783 CE.